We have been in our new house a few months now and after a tough first month we are now starting to settle in. The house didn’t need a great deal doing to it, just a lick of paint. We thought anyway. After a few weeks of living here we discovered bits that needed updating, nothing major. Just some things we were not expecting. So the painting has taken us a long time, we still have quite a bit left to do but we have managed to do a few rooms. We started off with the bedroom as it was originally decorated with patterned wallpaper that was not to our taste at all. We also got rid of our wardrobe and bought a new bed which I have been eyeing up way before we even got the house. After painting the walls white and popping in the existing furniture it brightened the whole place up and its now just so lovely and bright. 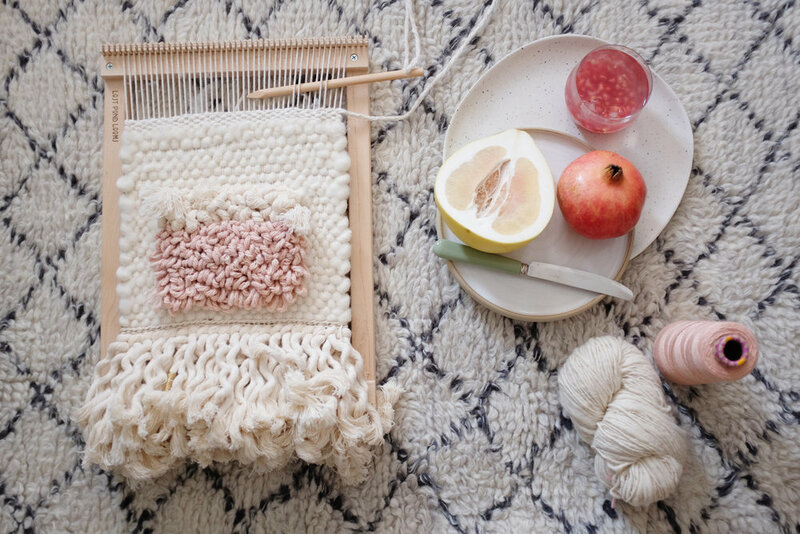 West Elm kindly gifted us some pieces for our new home and I love how their textiles really bring it all together. The next rooms we painted were our studio/office. 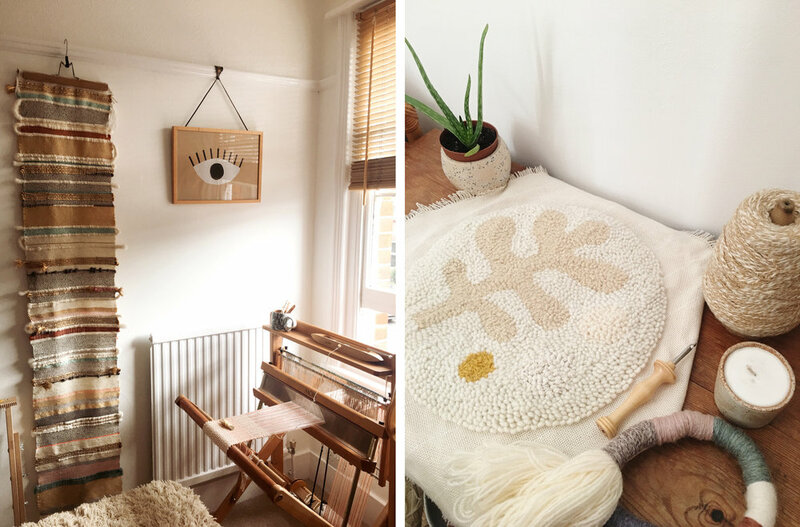 I am so lucky to be able to turn the small bedroom into a weaving room, here are a few pictures but will do a full post on it soon. I am in love with this room. The light in the afternoon is the best! The living room is going to be decorated this week, we are also having the carpet taken up and floorboards sanded next week. I cannot wait for this room to be finished. 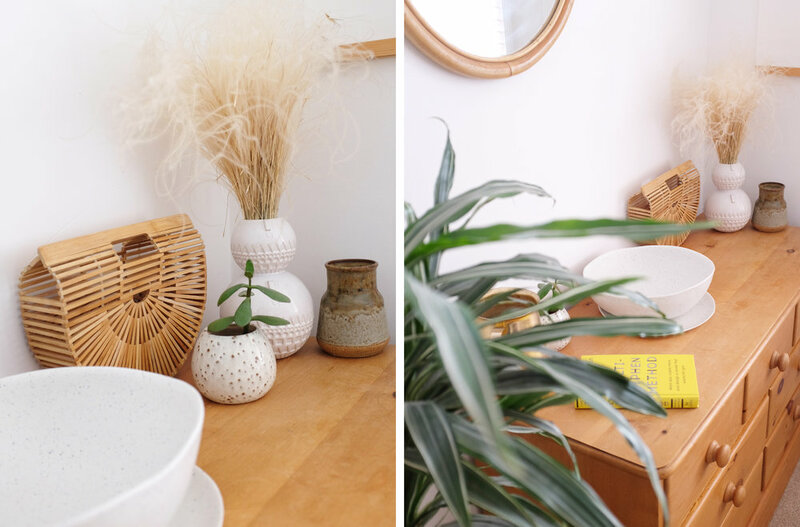 I couldn’t help but style up the beautiful side board from West Elm (links are at the bottom) it sits so well with all our pieces and that plant stand! I’ll be posting more updates on our renovations soon. We still have so many boxes to unpack, maybe they will just end up in the loft!